Running first off the claim for trainer Lacey Gaudet, Matthew Schera’s John Jones led all the way to spring a 40-1 upset in the $75,000 Mister Diz Saturday at Laurel Park, spoiling a bid by Ben’s Cat to win the grass stakes for a record-tying seventh straight year. The 33rd running of the Mister Diz for Maryland-bred/sired 3-year-olds and up was the second of two grass stakes on the 11-race Maryland Pride Day program, following the $75,000 Jameela for Maryland-bred/sired females 3 and up won by Lovable Lady. 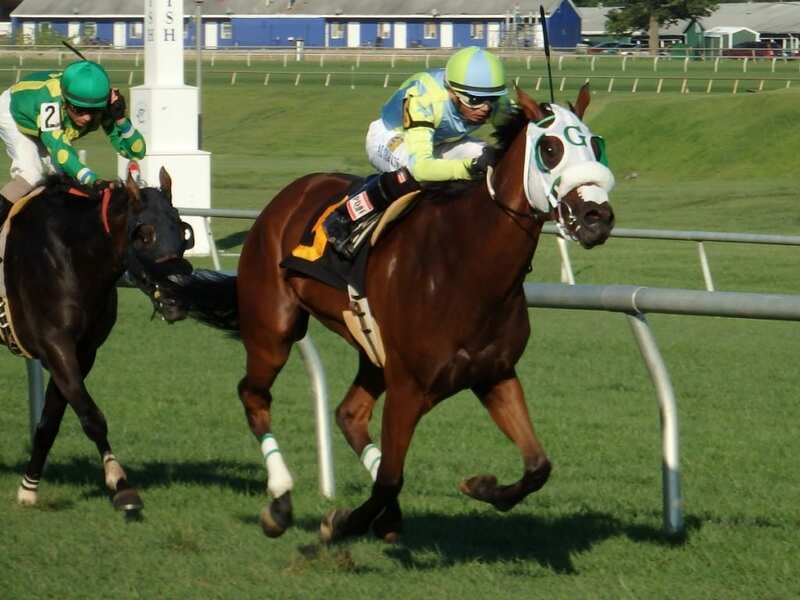 A gelded 4-year-old son of Smarty Jones claimed for $25,000 out of a fourth-place finish July 17 at Laurel, John Jones ($88.80) was making his stakes debut in the first start for his new connections. He was sent to the front by jockey Luis Garcia and never looked back, running six furlongs in 1:10.58 over a Fort Marcy Turf Course rated good. 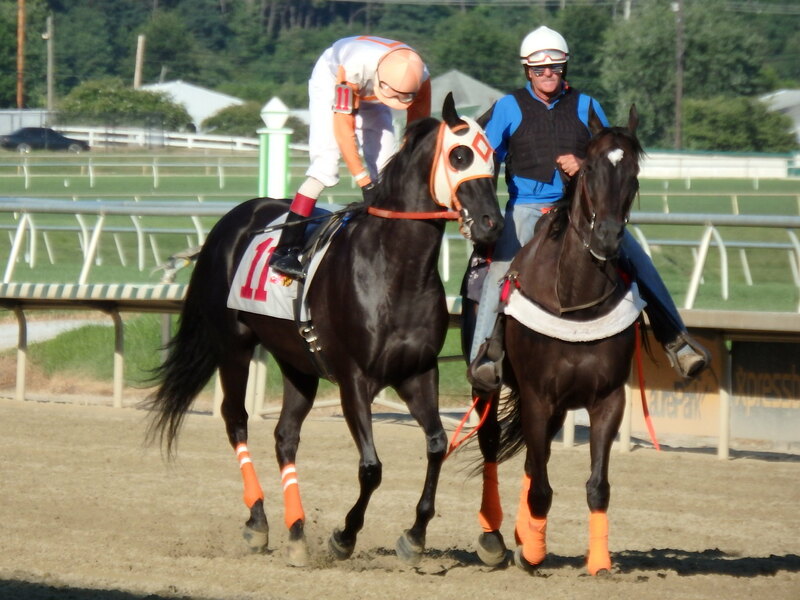 Ben’s Cat, the popular 10-year-old multimillionare and 26-time stakes winner bred, owned and trained by Hall of Fame horseman King Leatherbury, had won the Mister Diz every year since 2010. He was attempting to tie the North American record for consecutive victories in the same stakes held by Leaping Plum, who captured the Grasmick Handicap at Nebraska’s Fonner Park from 1995-2001 and again in 2003. Breaking from Post 6 in a nine-horse field at 118 pounds, six fewer than topweight Ben’s Cat, John Jones sailed through an uncontested opening quarter-mile in 23.78 seconds trailed by Blu Moon Ace and Just Jack, with Ben’s Cat racing in the clear four wide. Just Jack closed to within a half-length of the leader through a half-mile in 46.94, but John Jones extended his lead by another length at the top of the stretch and was cruising down the lane to hit the wire two lengths in front. Just Jack finished second, two lengths ahead of Ben’s Cat, who was unable to advance after being put in striking position by jockey Trevor McCarthy after turning for home and was beaten four lengths. Grandiflora, Team Tim, Blu Moon Ace, Barrel of Love, Rockinn On Bye and A P Elvis completed the order of finish. Ridden by jockey Luis Garcia, John Jones was racing for just third time on turf and first since finishing off the board in a 1 1/16-mile allowance Nov. 7 at Laurel. His three previous victories, all going a mile on dirt, came when he was on or near the lead.